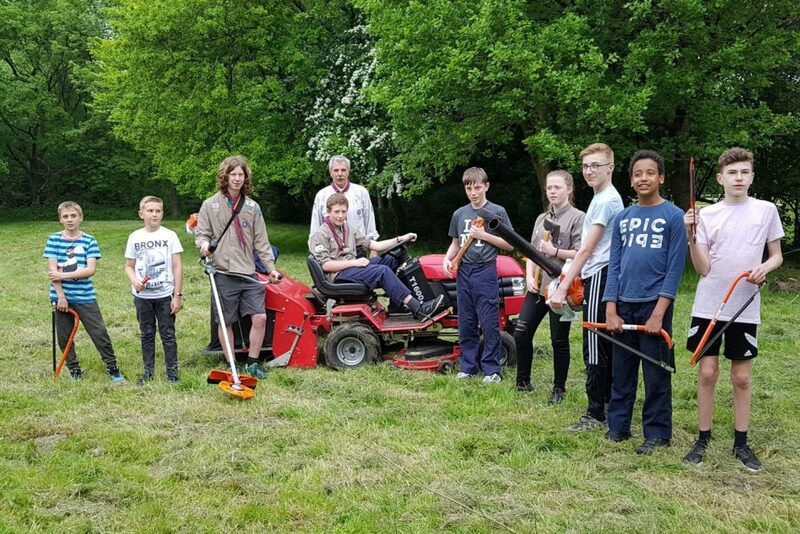 1st Normandy Scouts have recently taken part in the Tesco Bags of help scheme where charities all over the country have been awarded grants out of the Bags of help scheme. Following a vote by the local community at Tesco stores in Guildford, Guildford Town Centre & Milford we were successful in being awarded a grant of £2,000 towards maintenance equipment for the grounds. This Tesco grant has allowed us to invest in a new (actually, good condition secondhand) lawn mower, strimmer, leaf blower & other ancillary equipment. On behalf of everyone at 1st Normandy Scouts we would like to thank all those who voted for us in Tesco stores and to Tesco for their philanthropic support.